Jeremieh 23:29 Is not my word like as a fire? saith the LORD; and like a hammer that breaketh the rock in pieces? 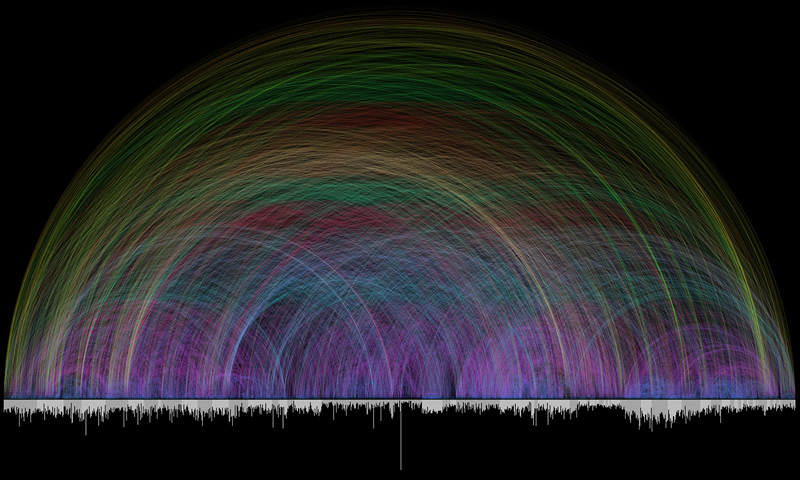 Word of God, it has been connected by varying colours based on the frequency of times mentioned.